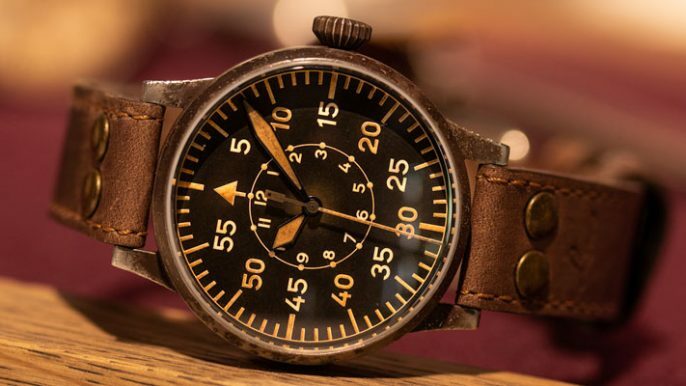 The name 'Tissot' is not something new to the world of horology with production starting well before the likes of Audemars Piguet, Rolex, Breitling, Seiko, Heuer, Zenith, IWC, Hamilton and Universal Genève! It was 1853 and Mr Charles-Félicien Tissot and his son Charles-Émile came together, combined their skills and set up a shop in Le Locle, Switzerland. With experience in gold case fitting and watchmaking respectively, the father and son duo began making and selling beautifully decorated solid gold pocket and pendant watches complete with complications that would amaze any modern day watch enthusiast today. After around 50 years of successful production (predominately for the US and the Russian Empire), the introduction and advancements of electric motors resulted in the facilities for making Tissot watches receiving an upgrade. A new factory (still based in Le Locle) allowed the company to thrive. Tissot started making wrist watches for women and also began making male-specific models which as they say themselves 'well before the peak of this trend between the two world wars'. 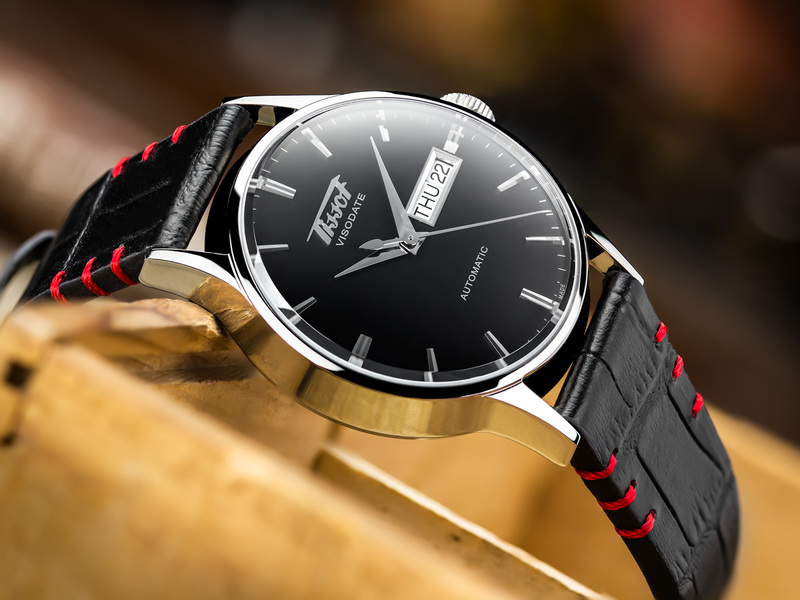 As The Great War was coming to an end, Tissot were only getting started and began to produce their very own movements, slowly but surely evolving into not only a watch brand but also a manufacturing company. 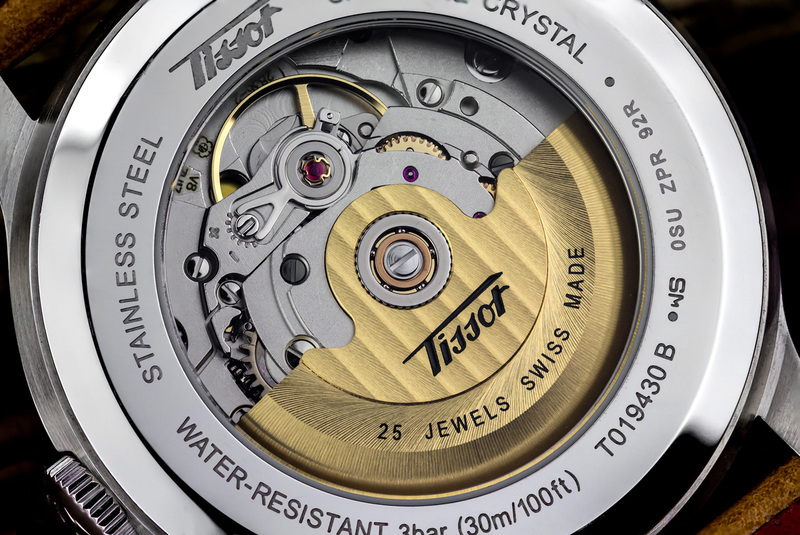 After celebrating their 100th birthday, Tissot released a new model to the range, the Visodate. 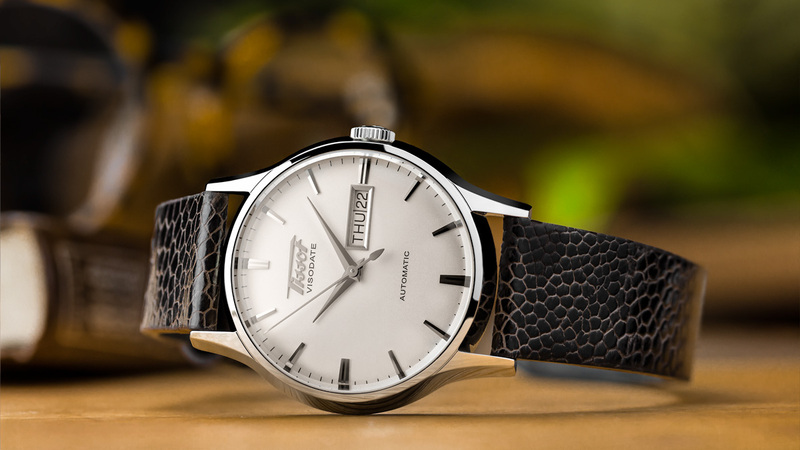 Fast forward to 2010 and Tissot yet again announced a Visodate, but this time it was the 'Heritage' which, much like many other companies, took inspiration from the original. 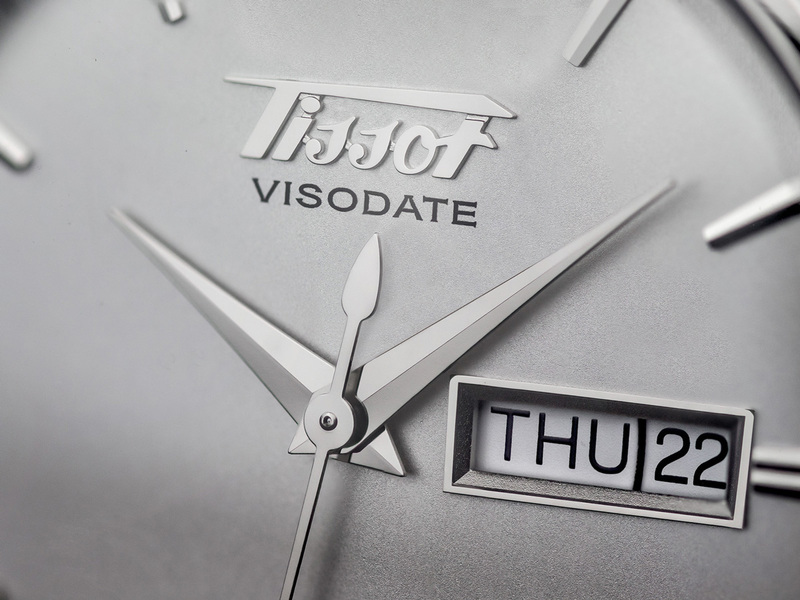 One of the most noticeable features of the Visodate Heritage is the use of Tissot's older logo style along with 'Visodate' sitting just below it. 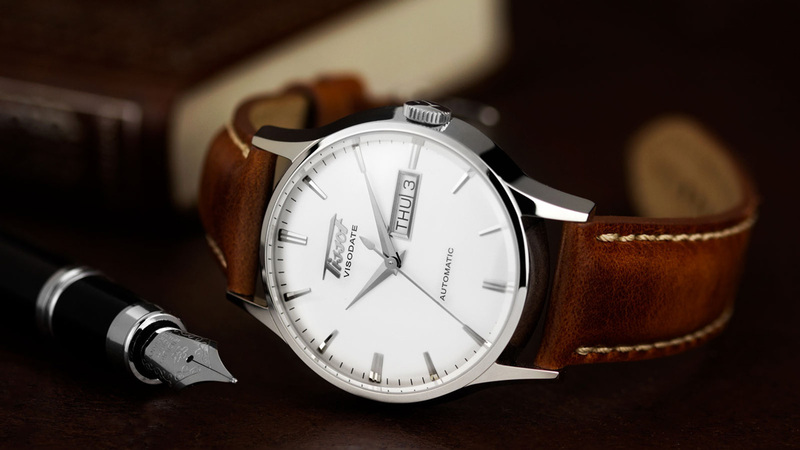 Unsurprisingly, this was taken straight from the original model and hugely benefits the watches individuality enabling it to stand out from similar dress watches in this price range. The Visodate Heritage comes in at 40mm case width, 12mm thickness and has a lug to lug of 47mm taking a 20mm strap. I regularly wear watches up to 40mm so, for my 7 1/4 inch wrist, the watch fits comfortably. The watch features a boxed sapphire crystal which contributes about 4mm to the overall thickness of this piece, If we exclude the crystal, the watch appears to have an extremely slim profile, looking more like 8-9mm thick, perfect for a dress watch at any price range. 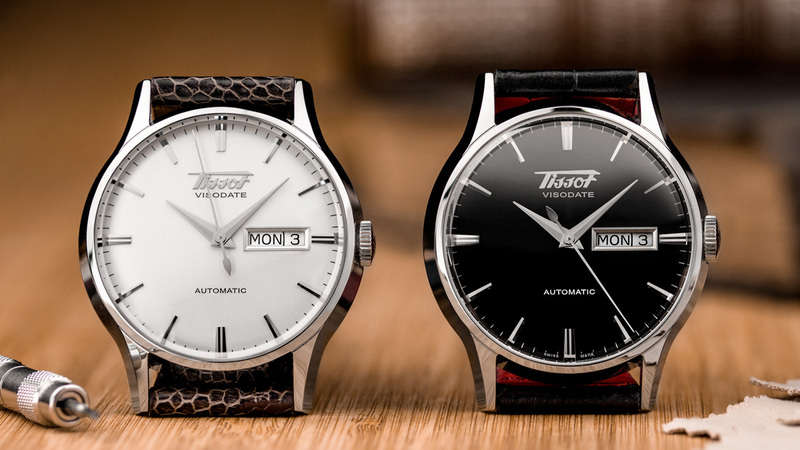 The Tissot comes in two dial colour options, either in Silver or Black. There is also a black dial option with a gold coloured case which is not as common as the classic two we see here but does offer something a little different for Visodate fans. The dial on the Silver Visodate has a very subtle grain texture which is an excellent feature of the watch, evenly brightening the dial effortlessly. After getting a good amount of wrist time with both, my pick and suggestion would be the Silver dial. 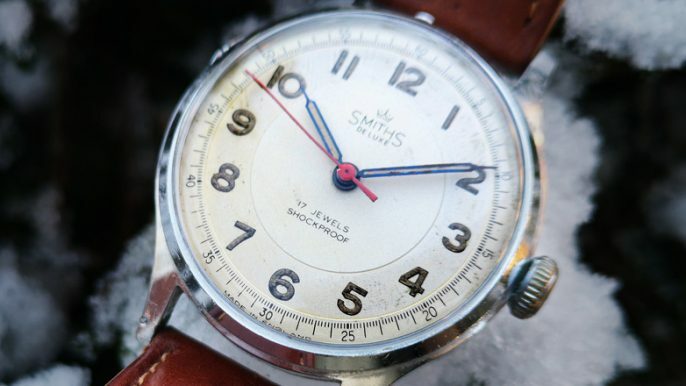 I found the Silver dial offered me something a little more true to the original Visodate and is similar to other three-hander watches from that time period. In some lights, the black dial gave off more of a grey look which I found clashed quite a lot with the highly polished details on the dial. When fitting the watch you'll notice the ETA 2836-2 movement working away from the display case back. Tissot went with a custom gold coloured rotor which mirrors the front of the watch with that old school Tissot logo stamped proudly in a deep black enamel effect. I personally found myself really enjoying this case back and regularly would take the watch off just to have a peek at the movement working away. This case back is very reminiscent of vintage pieces from the same time period. 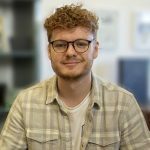 There are a few things worth clearing up about the overall dimensions of the Visodate Heritage. 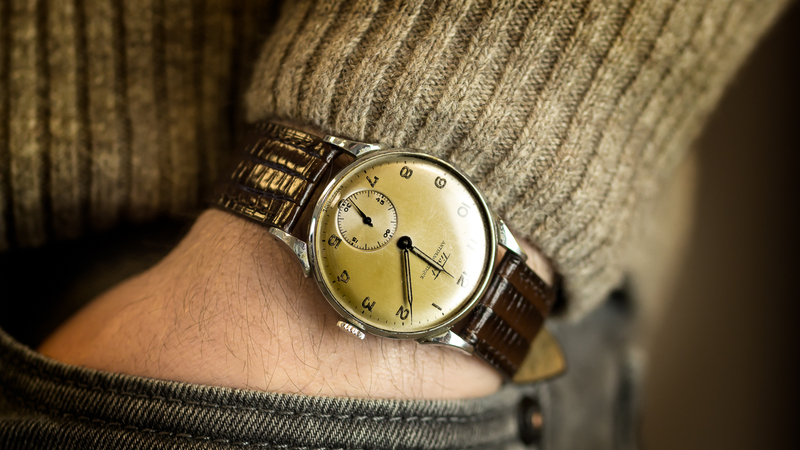 The lug to lug is 47mm which for a 40mm watch is very much acceptable. From my experience I found the Visodate to actually wear a little smaller than 40mm, more like a 38mm size piece. This common illusion with watches, resulted in the Visodate's lugs being very prominent to me. I often found myself being distracted by those larger lugs on the watch on a handful of occasions. Both the black and silver dial Visodate's come on an alligator print watch strap in either black or brown. As these watches as very dressy, I decided to stick with that same theme. The Silver dial version received the most wrist time for me so I decided to go with one of our newest leather straps to be added to the range. The Handmade Ostrich Leg watch strap is an exceptionally high-quality and stylish strap featuring genuine ostrich leg leather on the top, and an ultra comfortable premium oiled Italian leather lining. To compliment that silver dial, I've gone for the brown version of the strap which I knew as soon as it was fitted, it was the right choice. Due to the incredibly soft ostrich leg leather and premium oiled Italian leather lining, this strap is instantly comfortable and looks incredible with the Visodate Heritage. This strap alone really helped me appreciate this watch a lot more. Incredible what a strap change can do, right? And for the Black dial, I wanted to change the look up a little. Our Vintage Elmley is a high-quality genuine leather crocodile stamped print strap which features three hand stitched details with incredibly soft lining. I feel with the black dial Visodate needed something to make it stand out slightly which is why the Elmley was the logical choice. The strap also tapers in width and thickness down the strap towards the buckle which works very well with any dress watch, but especially with the Visodate's slim profile. I believe as a dress watch the Visodate works very well. It's slightly larger than I would normally wear myself, but not everyone shares this same preference. It's extremely simplistic design and understated look play as huge positives if you're after a reliable dress watch. Some people would argue that it's not a true dress watch because it has a day date function. And I have to admit, most of the time I would agree. However, with this watch, I feel its an almost quintessential dress watch, so much so that I believe it struggles to be anything but. 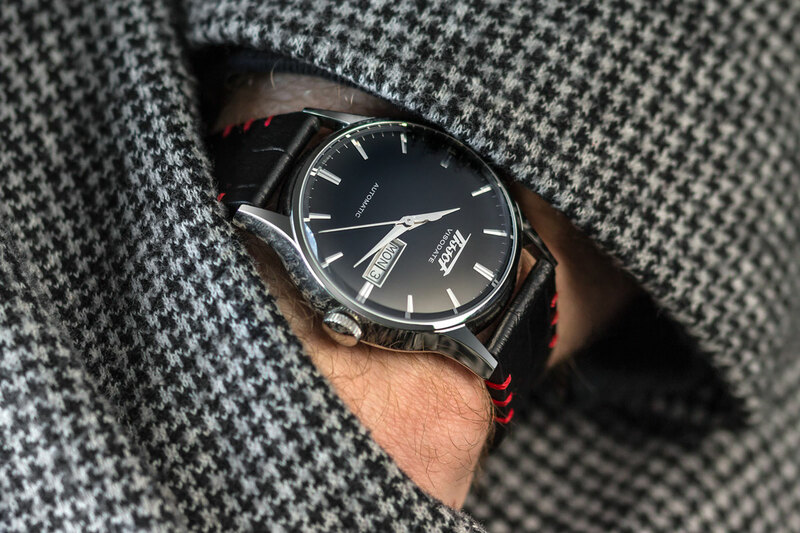 Previous watches we've reviewed in the past are extremely versatile and can work from day to day office wear, to a fancy meal for two and then all the way around to a weekend watch with no issues. 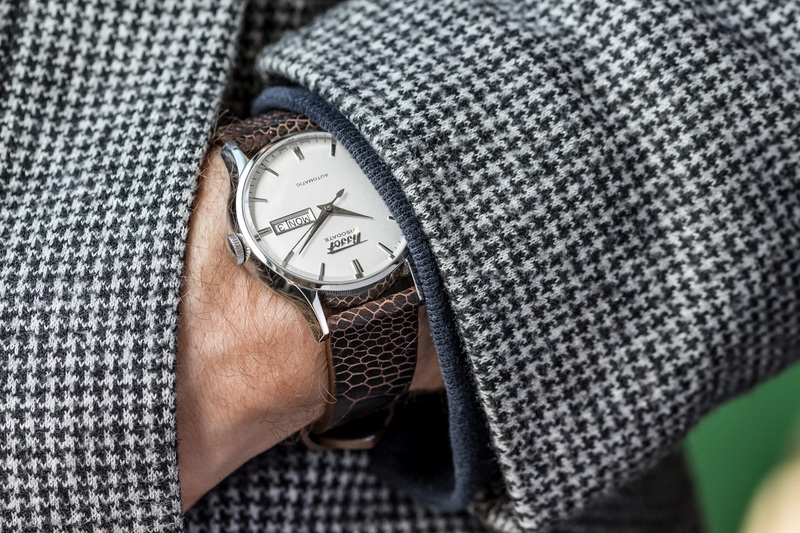 The Visodate Heritage is to me purely a dress watch. I'm sure many people do and enjoy the look immensely, but I'm not sure I could see myself strapping a quality Cordura Nylon strap or even a leather NATO to this Tissot anytime soon. It's most comfortable strapped to a quality animal grain strap being slipped under a cuff. As I've mentioned previously, the silver dial would be the one for me. I've always said I love silver dials, but when it comes to adding a watch to my collection, something has made me revert back to black dials (SARB033 and Submariner 16610 for example). Perhaps it's their versatility and that overriding subtlety to them. The silver dial option offers a combination of an accurately representative evolution of the original Visodate, combined with a more cohesive dial aesthetic (this is mainly down to the date window colour matching the dial on the Silver) and fewer dial reflections, swing me towards the Silver. The short hands are hard to un-see once you notice them, glad to hear you've found a fix! I have an original Visodate. Not in great condition. Silver-like case with gold numbers. Where can I find out how much it's worth? A relatively unofficial way of finding out how much the watch is worth would be having a look on eBay completed listings for the watch to see how much they're selling for. 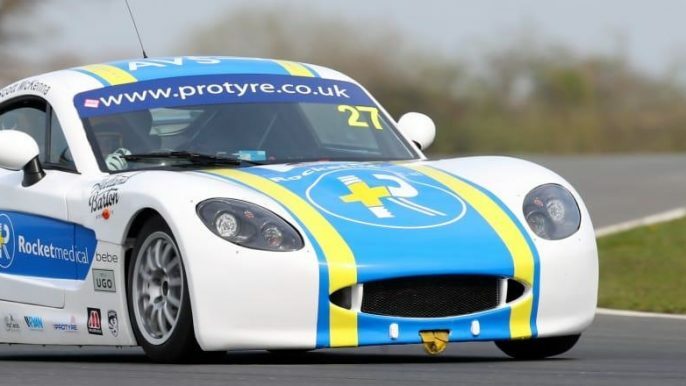 Alternatively, a local jeweller who stock pre-owned watches may be able to help further. Which brown/cognac leather stitched strap is the silver visodate wearing in the other pic? Thanks! Dress it up even more! View our range of animal printed and genuine leather straps here.